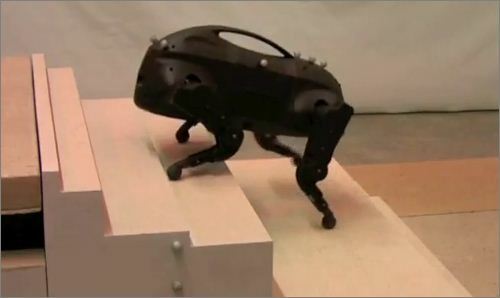 Little Dog is a project of MIT to learn the locomotion of robots, a project that gives results quite convincing. It is not a loving companion, the Little Dog, it is more like a beetle, but his sense of balance is perfect, it can stand on two legs at a time. This allows him to climb stairs, traverse rough terrain and as shown on the video, move with precision on close blocks. Little dog is able to "jump", so to speak, but he has a big reception problem as seen on this other video. The Little Dog project or more generally, the proposed learning locomotion. It is run by the MIT CSAIL in conjunction with DARPA. 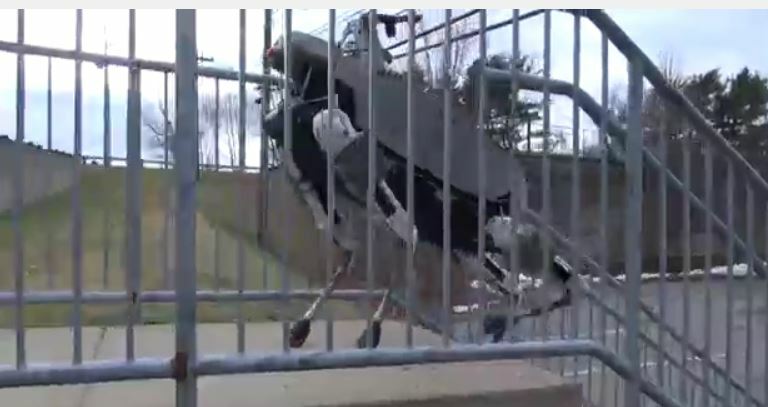 The DARPA locomotion project is also developing Big Dog. 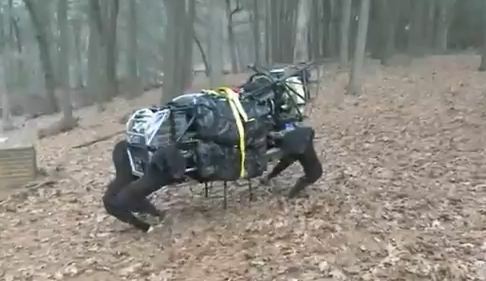 The first robots to go on the ground in war are quadrupeds whose role is limited to transportation. 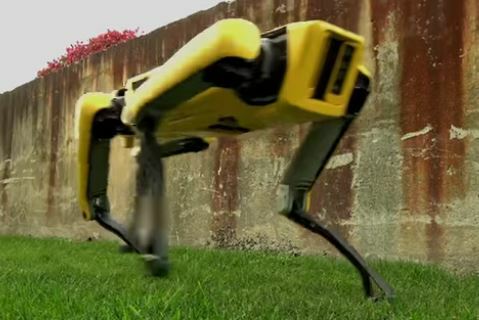 Bigdog, manufactured by Boston Dynamics is controlled by a computer that fits extremely responsive to ground motion as the thrust so that the robot falls almost never. It can move at the speed of 6km/h and climb slopes of 35 °. The U.S. military in Afghanistan also sent helicopters without pilots. LS3. Version "truck" of Big Dog, to carry larger loads. Video. Humanoid robots for the army. French ECA Dynamics is working on the project. This new model introduced in 2015 is more compact, less noisy and has a way of walking more fluid. It does not look like a big cat yet but is nevertheless less forbidding than the previous models. Video (click on the image) shows that it maintains its balance when kicked even on frozen ground!